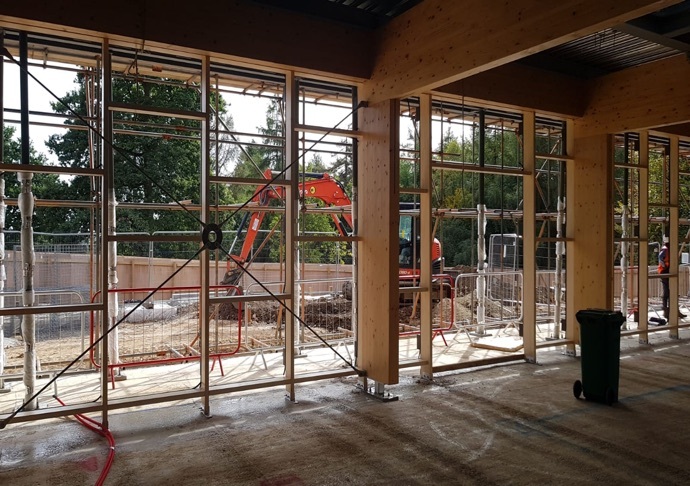 The Soundcraft team is currently on site, installing the Hybrid Series 3 curtain walling system to the new café and visitor centre. Combining the strength and durability of aluminium on the exterior of the frame with the attractive look and feel of timber of the inside, the popular Hybrid system is ideally suited to projects that require a sustainable and stylish solution. As well as contributing to a comfortable interior thanks to its thermal-efficiency, the large expanses of Hybrid curtain walling will frame and enhance the views of the surrounding woodland for visitors to enjoy. Soundcraft will be on site for four weeks, with overall completion of the project expected in November 2018. For further information on the project and for the latest updates, please take a look at the Forestry Commission’s website. To stay up to date with all our latest news, you can also follow us on Twitter and LinkedIn.